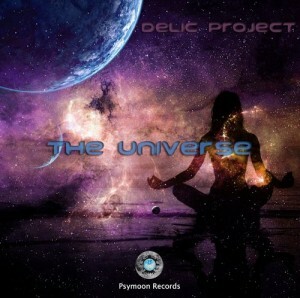 The Universe is a free release by Delic Project, one more in a series from Psymoon Records. Expect hard and heavy beats and dark psychedelic atmospheres. Mastering by Eldiavolo, artwork by MoonKatwa. MP3 Download | FLAC Download | WAV Download · Download count: 6,111.
haven’t heard it yet but fantastic cover art! Came here after Delic Project’s awesome track on VA – El Despertar De La Conciencia – 2013. Hope the album is just as good! THIS is what we came for! Night music! A great collection of tracks, Alien Squad is the pick. Luv it!